We moved our family from Connecticut to south Florida and told our kids, Jaren and Michele, that once we bought our new house we would get a dog. We found Pet Haven Rescue from an internet search and a couple of pictures caught our eye. 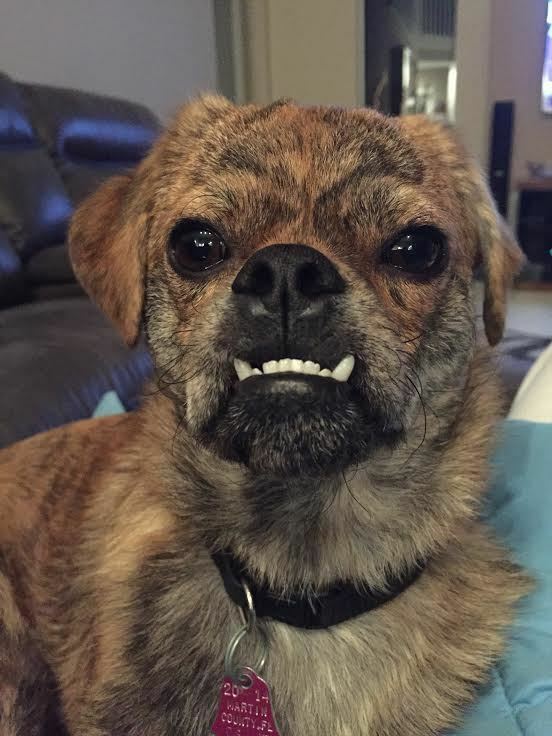 Rocky had been born at the rescue facility and was a true mutt: Shih Tzu, Pug and Poodle mix. He was the only one in his litter that ended up looking like he did. All his siblings looked more like mama Poodle. We loved his funny teeth and he was a very calm dog. Rocky had already been adopted and was returned a month after his adoption because the man, a church pastor, was having problems with his knees and was afraid he wouldn’t be able to take Rocky on walks. He prayed that a nice family with a large yard and fence would end up adopting the dog. We happen to have a very large yard and a fence for Rocky! The funny thing is that Rocky goes and hides whenever anyone mentions the “walk” word. He is a homebody. And, the best dog we’ve ever had!